Report: $499 iPad Costs Apple $230 to Make, Bring on the Discounts! iSuppli has again done its trick of totaling a device’s component costs to show the kind of profits the maker can get. This time, it’s the fabled iPad…and iSuppli’s data implies there’s room for Apple to maneuver on sales price. The screen: $80 per unit. It’s probably from LG, and its cost is about five times as much as the iPhone 3GS’s display costs. 16GB of flash-RAM: $29.50 for bottom-end machines, 64GB: $118 for top-end units. 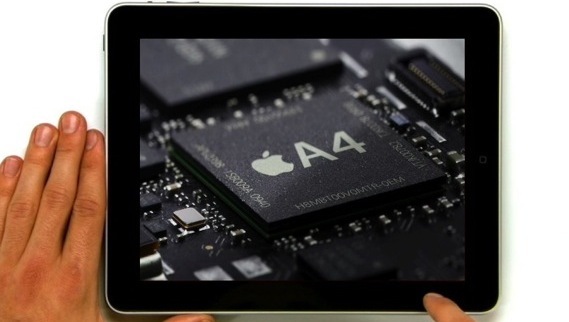 Apple’s own A4 system-on-a-chip: $17. According to iSuppli, it’s the most interesting component, acting as the processing/graphics core of the machine but costing Apple just $2-ish more than the iPhone 3GS’s CPU. It illustrates the kind of saving that can be achieved by bringing part of a chip’s design in-house. Add in the cost of assembly, other electronic components, buttons, cases and other bits and bobs and the entry-level 16GB Wi-fi-only iPad costs $229.35 to make. This is the least profitable model for Apple, amounting to some 46% or the retail price of $499. The most profitable unit is the 3G-equipped 32GB model, which iSuppli calculates as costing just 39% of the retail price. What’s all this mean? For a start, the apparently huge margin between the assembly price and the retail price shouldn’t be a surprise. Apple’s business model tends to avoid the common practice of selling some units as loss-leaders, and the real cost to Apple for each iPad will be higher once you factor in marketing, wages, research and development, and a thousand other costs that get shared out between every unit sold. But, even having said that, there’s significant room for maneuver on the price of the iPad–even at its entry-level $500. I’ve already noted that this figure is a fabulous win for Apple right from the start, placing the iPad as a seriously disruptive influence in the e-reader, netbook and even low-end notebook markets. But Apple’s not dumb, and clearly it’s learned from past mistakes: The game-changing iPhone cost an exorbitant $600 for an 8GB model. And within just a few months Apple had to slash it down to $400 to drive sales upwards. Of course the iPad is a different, larger and more expensive beast and Apple seems to have got its pricing right, but that doesn’t mean Apple won’t be agile with those prices again if it deems it necessary. And with numerous competitors on the way, the rumored Asus EEEPad on the horizon, and the updated Kindle 3 in the medium-distant future, Apple may well chose to drop the price on, or some time shortly after, launch in order to sew up as much of the market as it can.